Product prices and availability are accurate as of 2019-04-23 16:42:53 EDT and are subject to change. Any price and availability information displayed on http://www.amazon.com/ at the time of purchase will apply to the purchase of this product. 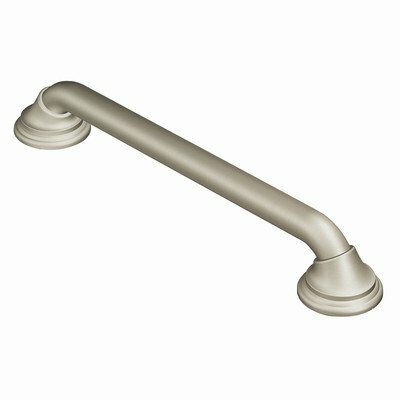 LR8716D3CH Finish: Chrome Pictured in Chrome Features: -Grab bar.-Patented design allows for secure installation into a stud at any angle.-Concealed screw mounting.-Grab bar is tested to withstand 500 lbs pull.-ADA compliant.-Made in USA. Options: -Available in brushed nickel or chrome finish. Construction: -Stainless steel construction. Dimensions: -1.25'' Diameter tubing.-Overall dimensions: 3.15'' H x 19.15'' W x 2.8'' D. Collection: -SecureMount collection. Warranty: -Limited life time warranty.